Receiving and processing customer orders efficiently and thoroughly is essential to any business operation – indeed it’s the core of your revenue stream. Yet processing sales orders is traditionally one of the biggest bottlenecks in an organization, often with little communication between the home office where the orders are received and the warehouse where the orders are fulfilled. Even the data entry associated with orders can be a cumbersome and time consuming process. 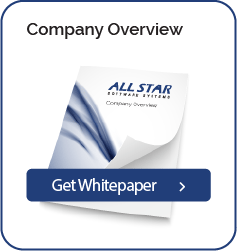 All Star’s solution for sales orders handles all aspects of the sales order process to provide the organization with complete, real-time information about the status of an order throughout the life-cycle of that order. The solution will also provide the ability to eliminate the data entry process using data extraction and electronic order receiving tools. Furthermore, this solution integrates tightly with your line-of-business applications to ensure the sales order data is processed into your system and shipped/invoiced as soon as possible. Automating the sales order process ensures that orders are handled correctly and in a timely fashion, improving the speed at which money comes into your organization and reducing or entirely eliminating errors.